DOJ Watchdog Finds Comey "Defied Authority" And Was "Insubordinate"
The Department of Justice's internal watchdog has found that James Comey defied authority several times while he was director of the FBI, according to ABC, citing sources familiar with the draft of a highly anticipated OIG report on the FBI's conduct during the Clinton email investigation. President Trump complained on Tuesday of "numerous delays" in the release of the Inspector General's report, which some have accused of being slow walked or altered to minimize its impact on the FBI and DOJ. "What is taking so long with the Inspector General's Report on Crooked Hillary and Slippery James Comey," Trump said on Twitter. "Hope report is not being changed and made weaker!" ABC reports that there is no indication Trump has seen - or will see - the draft of the report prior to its release. Inspector General Horowitz, however, could revise the draft report now that current and former officials have offered their responses to the report's conclusions, according to the sources. The draft of Horowitz's wide-ranging report specifically called out Comey for ignoring objections from the Justice Department when he disclosed in a letter to Congress just days before the 2016 presidential election that FBI agents had reopened the Clinton probe, according to sources. Clinton has said that letter doomed her campaign. During an April interview, Comey was asked by ABC News anchor George Stephanopoulos "If Attorney General Lynch had ordered you not to send the letter, would you have sent it?" "No," replied Comey. "I believe in the chain of command." Deputy Attorney General slammed Comey's letter to congress while recommending that Trump fire Comey last year - saying it "was wrong" for Comey "to usurp the Attorney General's authority" when he revealed in July 2016 that he would not be filing charges against Hillary Clinton or her aides (many of whom were granted immunity). "It is not the function of the Director to make such an announcement," Rosenstein wrote in a letter recommending that Comey be fired. "At most, the Director should have said the FBI had completed its investigation and presented its findings to federal prosecutors." The draft OIG report dings Comey for not consulting with Lynch and other senior DOJ officials before making his announcement on national TV. 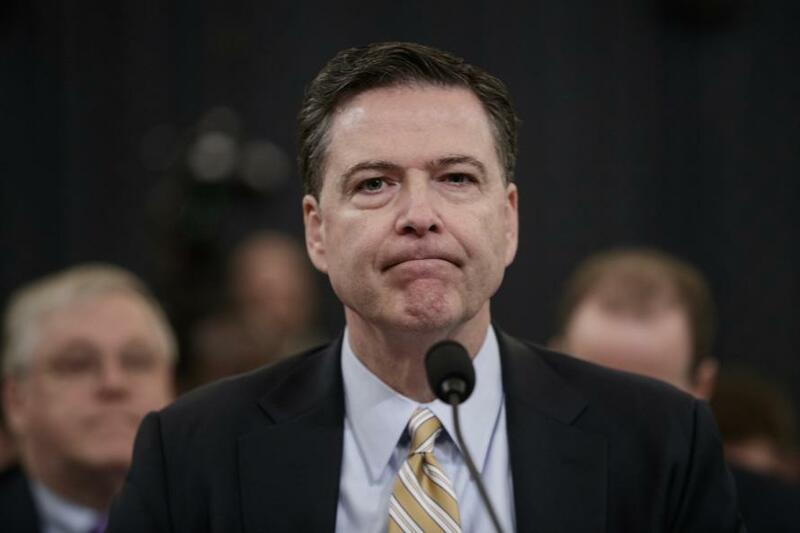 Furthermore, while Comey said there was no "clear evidence" that Hillary Clinton "intended to violate" the law, he also said that Hillary Clinton had been "extremely careless" in her "handling of very sensitive, highly classified information." And as we now know, Comey's senior counterintelligence team at the FBI made extensive edits to Clinton's exoneration letter, effectively decriminalizing her behavior. "I have not coordinated or reviewed this statement in any way with the Department of Justice or any other part of the government. They do not know what I am about to say," Comey said on live TV July 5, 2016. By then, Lynch had taken the unusual step of publicly declaring she would accept the FBI's recommendations in the case, after an impromptu meeting with former president Bill Clinton sparked questions about her impartiality. "The honest answer is I screwed up a couple of things, but ... I think given what I knew at the time, these were the decisions that were best calculated to preserve the values of the institutions," Comey told ABC News. "I still think it was the right thing to do." Comey is currently on a tour promoting his new book, "A Higher Loyalty."